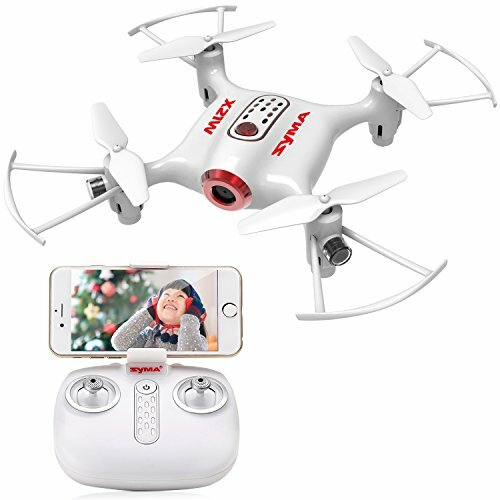 SYMA X21W MINI RC DRONE Equipped with HD camera to take photos and videos while flying! Bring a new perspective to your photos and videos from the air. MOBILE CONTROL: Control the drone with a smart phone App to activate multiple functions such as Gravity SENSOR Mode which allows the user to control the flight by holding and moving the smart phone accordingly. 6 AXIS GYRO STABILITY: The Drone built with multi-axis gyro offers extra stability for easy handling and 360° flips. If you have any questions about this product by DoDoeleph, contact us by completing and submitting the form below. If you are looking for a specif part number, please include it with your message.